Then Inspector of courts Immaculate Busingye, 2nd Right, recently. KAMPALA: President Museveni has appointed five new substantive registrars of the Courts of Judicature in a bid to reduce the staffing challenges in the Judiciary. In a May 23 letter to the chairperson of Judicial Service Commission, Justice Benjamin Kabiito, Mr Museveni named Immaculate Busingye Byaruhanga, Esta Nambayo Vincent Mugabo, Isah Sserunkuma and Philip Odoki as registrars. 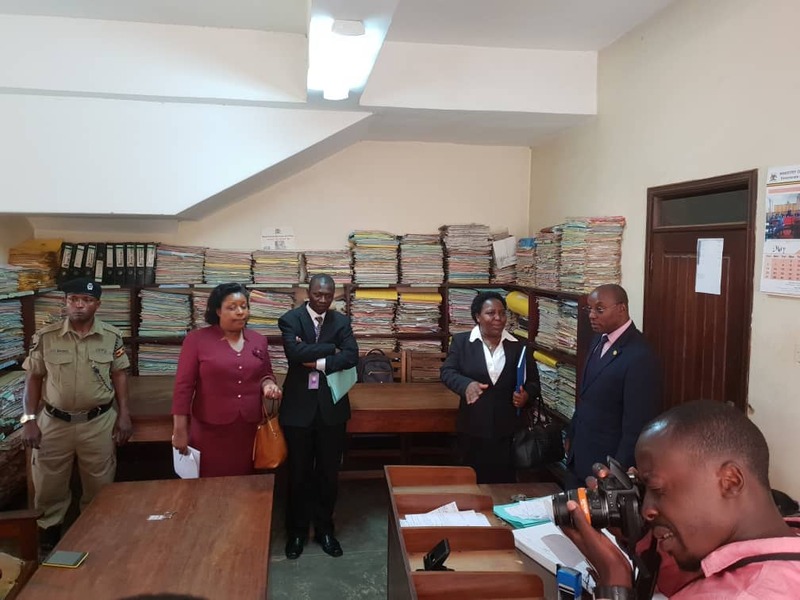 Nambayo has been Acting Registrar Court of Appeal, Busingye has been acting Inspector of Courts while Mugabo has been serving in the Mediation Registry and as the Judiciary Public Relations Officer. Sserunkuma has been the acting Registrar, Magistrates Affairs while Odoki has been the Private Legal Secretary to the DCJ/Appellate Mediation. This comes four months after the President appointed 14 judges to the Court of Appeal and the High Court respectively in a bid to fill the existing gaps in the courts of judicature. Parliament recently announced that the Ministry of Justice is planning to increase the number of judges from 52 to 82 to address case backlog. According to the Case Backlog Reduction Committee, there were 155,400 cases as of January 2017. “Therefore, it’s resolved by Parliament that in accordance with Section 13 (b) of the Judicature Act, Cap 13, Parliament increases the number of judges of the High Court from 49 to 82, the Principal Judge inclusive,” read in part the resolution of Parliament signed by Ms Jane Kibirige, the Clerk to Parliament. “I certify that the above resolution was passed by Parliament on Wednesday March 28, 2018,” the Parliament’s resolution letter further read.